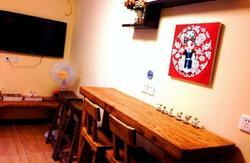 Welcome to Lama Temple Youth Hostel! 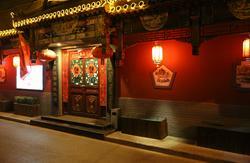 Lama Temple Youth Hostel is located in the historic Dong Cheng district, on Yong He Gong Street. The nearest subway is 30 meters away which allows you to get to all the city sights quickly and easily. There are many bus stops within walking distance including a shuttle bus and airport express directly to the airport. Our hostel has been designed with Chinese culture and history in mind and provides visitors with all the modern luxuries that one expects, but in a way that is much more traditionally orientated than the majority of other hostels throughout the city. Brand new facilities including hot showers and rooms with new comfortable beds. Just have a look at the photographs provided and judge for yourself! 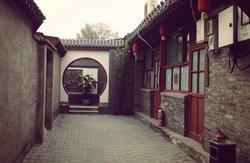 Beijing lama temple hostel is a Chinese traditional mansion situated in the Hu-Tong neighborhood of the city centre Beijing, which is well protected by Beijing government. It's quiet and peaceful, and of course, very safe. Within only a 2-minute walk you can reach one of the subway stations, quite a few Chinese restaurants with delicious dishes, dumplings, etc, a local market, several 24-hour convenience stores, a fruit market, tea shops and so on. From Anywhere else! Take Bus numbers 116, 117,635,13, 406, 106, 684 or 107, To the Bei Xin Qiao stop, get off the bus and we are down the first alley north of the subway exit B.